Today there is much talk of the “me “age and of the “selfie” generation, and I thought I would share this observation of empathy in action to demonstrate how we can alter outcomes and put others first. A while back while I was visiting one of our toddler classes, I saw one of our students get bumped on his head. I could tell that it hurt. He immediately started to cry, the cry that tells of real pain. One of his peers was the first to reach him and he asked what happened. Through his tears the little boy held his head and pointed to the object of his hurt. His young friend clearly understood and proceeded to rub his friend’s head. He continued to rub and in the most caring tone told his friend he would feel better soon and it would be all right. He stayed by his friend’s side until the little boy eventually stopped crying; adult intervention although offered was not needed, he did not even want ice. His friend’s kindness toward him healed his hurt. I saw it all unfold and it restored my confidence in the fact that we can help our youngest students care. What a moment to behold, empathy in action in such a young child. No prods, no direction, no words needed by any adult. This is a child who understands hurt and feelings and was able to respond naturally to his friend. The definition of empathy is “the ability to understand and share the feelings of another.” Children who can empathize are in touch with their own feelings and are able to connect theirs with what another is experiencing. One can ask, is a child born with an innate ability to empathize or is it learned. Research says it can be either. Have you ever seen a baby or young child offer up his blanket, bottle, toy, or something treasured to someone who is feeling sad, or upset? It happens, and is empathy in the making. We do know that not every child or adult can empathize. The great news is that we also know that empathy can be taught and the earlier the better. Ø Discuss feelings with children and give them “feeling” words to express them. Montessori advocate, teacher and owner. What's More Powerful than "Good Job?" Pretend you’re sitting in the corner of a classroom of 30 children, ages 3-6. Everyone is working contentedly at their own tables. There is a buzz in the air, but not one of chaos. Instead, it’s the quiet energy of independent children, picking their own tasks and following their interests. You’re so entranced, you might be inspired to pronounce “Good job!” to every child who passes by! But that’s one phrase you’ll never hear in this classroom. The reason adults in the Montessori classroom don’t say “Good Job” is because it casts judgement upon a child’s work. But those children aren’t going about their day in search of an adult’s praise. They are choosing activities ranging from washing dishes to multiplication work because it interests them. They want to do it! When we place a label like “good” or “bad” upon a task that a child is doing in order to satisfy their own developmental needs, we take the ownership away from them. All of a sudden their work is about us and what WE think. And that sense of accomplishment and pride allows the child to move on to bigger things with a confidence in themselves that no “good job” could ever impart. 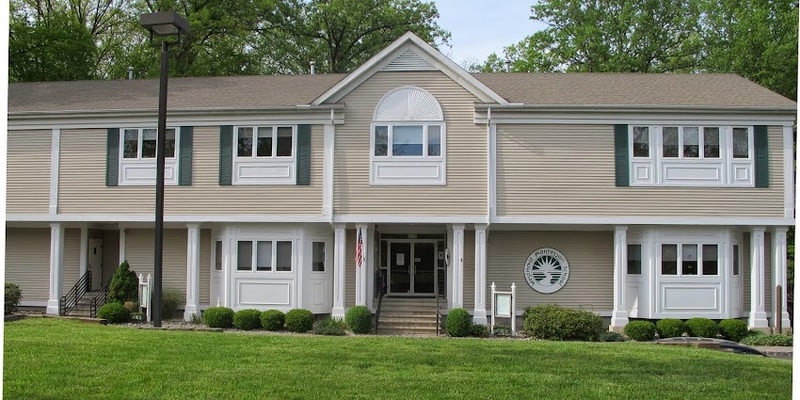 The Westmont Montessori School has a strong commitment to education, not just for the children who attend, but also for the adults who care for them. 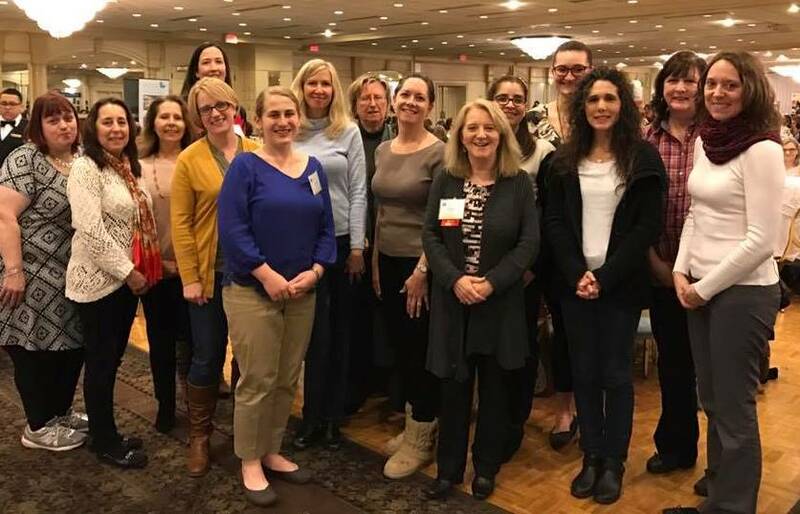 We host monthly parent events in our Parent Education Series and our teachers and administrators take part in Professional Development throughout the year. Last year alone, our staff members took a total of 528 hours of Professional Development! 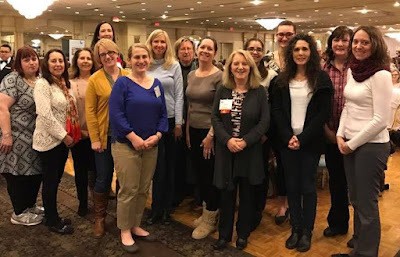 Every year our teachers attend the New Jersey Montessori conference and several teachers are selected to also attend the national American Montessori Society conference. Although our classroom teaching staff of 11 have a combined 16 degrees (including six Master's Degrees), continuing to learn about new research, share ideas for the classroom, and hear about the great things happening in schools all over the world, ensures that we have the tools to provide the best for the children we serve. It is also never too late to make, revisit or renew resolutions when it comes to parenting. I read this article in Independent School magazine and thought I would paraphrase and share some of it with you. It was written by Madeline Levine a practicing psychologist, author, and co-founder of Challenge Success a project of the Stanford graduate School of Education. I had the pleasure of listening to Dr. Levine at a Common Ground Speaks presentation some years back. 1. I will not do for my child what he can do for himself. 2. I will not do for my child what she can almost do for herself. · At one time your child could almost walk, now she can walk. · Appreciate and be thankful for your child’s unique gifts. · Life is full of mistakes, imperfect days, and human failings. Children need to be able to feel happiness and gratitude in the face of imperfection. This builds resilience. 6. I will not confuse my needs with my child’s needs. 7. I will remember that I am a parent, not a CEO. · Don’t overschedule, children need down time, or “hang time” as we like to say. · We know our own paths took twists and turns, life does not always go as planned.